You will receive your registration card in May. If you register later than that, you will receive your registration card a few days after your registration. On the registration card, you can see your race number and your t-shirt size. Take the registration card with you when you collect your Race Pack, ie your number bib and t-shirt. If you lose your registration card, bring some form of photo-ID with you. If you are not able to collect your Race Pack in person, you can give your registration card to someone else to collect it on your behalf. You can collect your number bib and t-shirt at the ASICS Stockholm Marathon Expo at Danicahallen, Fiskartorpsvägen 34, on Thursday 30 May, Friday 31st of June and at Stockholm Olympic Stadium the hours before the race. Provided there are still places available, it will be possible to enter ASICS Stockholm High Five just before the race. The fee is 40€ (competition class) and 35€ (fun run). Metro and bus are the best and most eco friendly means of transport both to the ASICS Stockholm Marathon Expo and to the start at the Stadium. To get to the Expo and the start area you can go by the metro’s red line 14 towards Mörby centrum and get off at ’Stadion’ (approx. walk 400 m). We recommend that you come to the event changed and ready to run. You can leave your bag at the clothing deposit in the stands at the Stadium. Your number bib has a tear-off tag with your start number. Attach that to your bag when you hand it in and you can show your number bib when you come to pick it up. Just like the Marathon, ASICS Stockholm High Five starts on Lidingövägen outside the Stadium clock tower. Assembly before the start is inside the Stadium and the start pens open about 10 minutes before the first start which is at 17:30. The preliminary plan is that there will be a further two starts with 3 minutes between. If you are going to run fast then it is best to join the first start group. The course will give you a taste of the wonderful marathon experience. 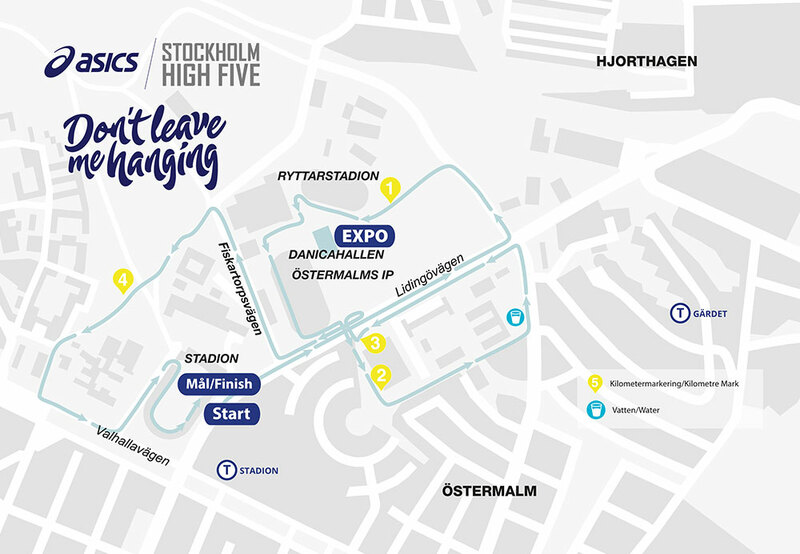 And just like the Marathon ASICS Stockholm High Five has the same impressive start on Lidingövägen and finish in the classic Stockholm Olympic Stadium. We will also take you along and through ASICS Stockholm Marathons event area with the Royal Tennis Hall as the magnificent, new home for the Expo. The five kilometre course is mainly on asphalt with some gravel paths. After the finish line you will first get your medal and some snacks. Then it’s time for the After Run and our famous pasta party. Zeta will serve pasta, tasty bread and a cooling bottle of sparkling Pellegrino mineral water. Your number bib has another tag, marked Zeta Pastaparty, which lets you in to the After Run. We will have music entertainment and artists on stage. 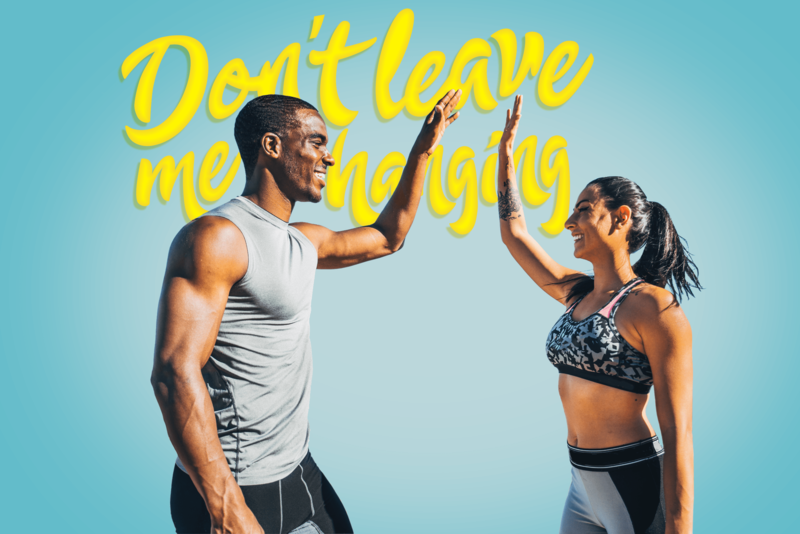 If you have any questions before ASICS Stockholm High Five, please do not hesitate to contact us, tel: +46 8 545 664 40 (week days 09:00-12:00 and 13:00-16:00) or [email protected]. During the day of the event you can find us in the Info tent in the Stadium.